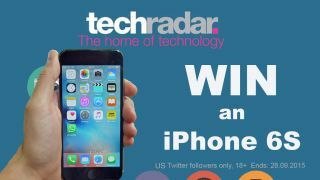 Techradar has had a recent makeover, and to celebrate, we're giving you the chance to win a brand new iPhone 6S. To enter, all you need to do is tweet us – or tag us in – a photo demonstrating why you think you need a brand new iPhone 6S. Perhaps you have a really old iPhone, smashed screen, bits falling off of it. 1. Photos must feature your existing phone in its current state. 2. The post must include the hashtag #HomeOfTechUS. 5. Enter by 11:59pm PT on Monday, September 28 2015, when the competition closes. 6. Entrants must be 18 years old or over, and based in the United States. Proof may be required if your entry is selected. For Terms and Conditions, click right here or head to the second page.